Hanaeleh helps to network horses who need homes, free of charge. These horses are offered free to a good home, but an adoption agreement and contract are often suggested. Hanaeleh is not responsible for any of the information provided and does not know anything beyond what is listed in the post- please contact the owner directly. 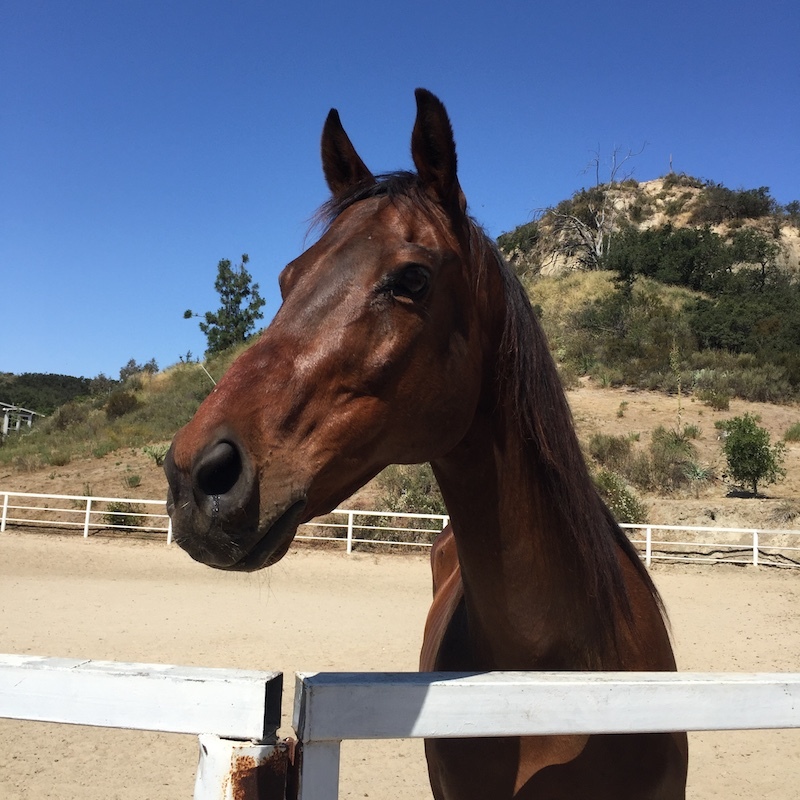 Descanso, CA: Vinnie (registered name: Vintage Vinnie 99) is a beautiful 17 year-old bay Saddlebred gelding. He is rideable, but he has a club foot and went lame after an incorrect hoof trim. The owners are having financial difficulties and unfortunately can no longer afford caring for Vinnie. Vinnie has not been ridden for about three years, since his incorrect hoof trim. He is currently on Previcox, and his owner says he appears sound. Vinnie needs an intermediate handler, and can sometimes be pushy on the ground, so he would need someone who is comfortable working with horses. He is not a beginner horse, but he does love to be groomed by anyone, including children, and would make a great pasture mate for another horse. Vinnie currently lives in a pasture with six other horses and does well with them. According to his owner: Vinnie is an “in your pocket” type horse. He just wants to please and wants to make his owner happy. He will run up and great you…once he knows you’re his person. He is one of the “best minded” horses I’ve ever had the privilege to work with. He’s great with dogs and tractors and random things that would spook a horse (trash bags/tarps/loud noises/etc., etc.). He has had EXTENSIVE ground training and knows his place in regards to you on the ground.